There are so many negative influences that confront our children every day. Inappropriate images, drugs and violence bombard their senses through music, television and print media daily. Is it any wonder that many children lack self-confidence and suffer from low self-esteem? You can teach a child to “Just Say No”, but when it comes right down to it, when they are faced with peer pressure, it's their feelings about themselves that are going to determine whether they make the right decision, don't you agree? Fortunately, there is something you can do to help raise our children's self-esteem, feelings of self worth, and belief in themselves. In this letter you will find out how. My name is Steve Zieman. I'm a professional children's entertainer with over 28 years' experience as an accredited magician. I also have a strong background as a Wayne State University Communications instructor and for many years as a Radio & Television personality. I specialize in creating and presenting educational programs for elementary school-age children. My time tested “Magic Bag of Tricks” workshop is designed to help children raise their self-esteem and build a healthy self image. High self-esteem is, of course, vital for success now and later in life. 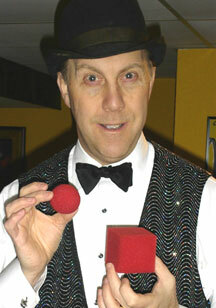 My “Magic Bag of Tricks” workshop is 60 minutes long and is excellent for children in 1st through 6th grades. It is designed to encourage learning through fun. 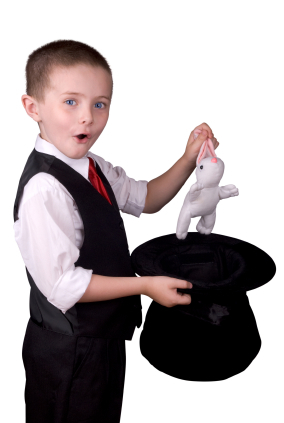 With step-by-step instruction children get hands-on experience in performing several easy-to-learn magic tricks. 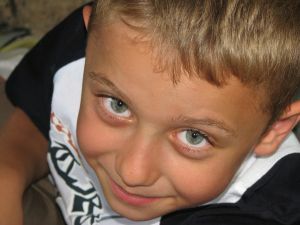 Through this intriguing medium, even shy, introverted children begin to feel good about themselves, because through their own efforts and patient support, they can now do things other people can't! Children learn important life-changing skills through a sense of personal accomplishment. By combining entertainment with education kids are very receptive to these ideas and take them to heart. The program gets kids excited about learning. We talk about all the different types of magic that they will learn, how to practice and how proper repetition helps improve their skills. I show them how learning can be an adventure, and how they can do anything they want when they develop good practice and study habits. 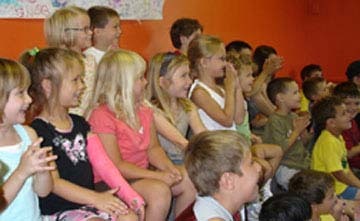 My “Magic Bag of Tricks” workshop is motivational, encouraging, and helps to raise children's self-esteem. Basically what I've done is to create a program that in a fun and exciting way; promotes a healthy self-image, helps develop creativity, poise, public speaking skills, develops memory, self-discipline, confidence and helps develop a real key to future success… Positive Self-Esteem. 1. In today's image conscious society kids get the message that what they look like is more important than who they are. Children are “bombarded” with the importance of looks through media and advertising. In school, it's even worse. Kids are picked on because they're too tall or too short, too skinny or too fat. They're made fun of if they don't wear the “right” clothes. By developing the necessary skills that help improve a child's self-image they learn that looks are superficial and that it's not what you look like, but rather the kind of person you are that makes the difference. 2. You can do almost anything in life that you want as long as you believe in yourself. Napoleon Hill said, “Whatever the mind of man can conceive, it can achieve.” This is true, isn't it? Yet, the sad truth is that many kids are told daily that they can't or won't succeed. That they are dumb. That they “never do anything right”. My “Magic Bag of Tricks” workshop is designed to plant the seeds of confidence in children by giving them a sense of immediate personal accomplishment that helps them believe in themselves. 3. Never, ever give up. This is closely related to belief number two. Let's face it – you can try your hardest and not succeed. This is something that kids need to realize. But they must also know the importance of not giving up after a setback. They must keep trying if they are going to succeed. Thomas Edison failed over 1,000 times before he successfully invented the light bulb. Abraham Lincoln failed many, many times before he was elected President. When children learn these lessons they acquire a can-do attitude and are more motivated to go for it! These ideas are presented in an entertaining, fun way, so that children will not only remember them but they will become a part of them. Honestly now, isn't it true that if our kids really did adopt these beliefs, they'd be better off and live happier more productive lives? O.K. Steve, Everything You've Said Makes a Lot of Sense… Now What? The universal appeal of magic keeps kids amazed while having loads of fun! I've done almost all of the work for you. I bring everything I need including my own table and always have my sound system at hand if needed. I even provide you with posters for you to advertise your workshop and a camera ready flyer you can copy to make it easy to sign children up for the your workshop. There is practically nothing you have to do and nothing you have to worry about. It's easy, so you can enjoy the program too! 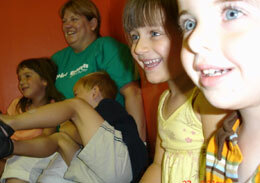 The program is great for children in grades 1 through 6. And if you have a huge response for my workshop (as many do), I will be more than happy to present a second one for you. You get my full 60 minute “Magic Bag of Tricks” workshop, with personalized instruction, where I teach each and every one of the kids how to not only do the magic tricks but how to make them entertaining. The “Magic Bag of Tricks” program comes complete with the props and handouts the children can continue to use at home with Mom or Dad. I also give the kids my fantastic Magic Tricks Brochure with even more tricks and a bag to carry all of the magic in! Special Limited Time Bonus – Get My Magic & Fun Show FREE! Who else wants to see smiling, laughing children while helping them improve their self-image and confidence? "For a limited time - when you book a "Magic Bag of Tricks Workshop", I will give you my terrific 30 minute family magic show - "Professor Steve Zieman's Magic & Fun Show" at no additional cost. This alone is a $200.00 value, yours absolutely free while this offer lasts. (See expiration date on the information you received.) Please don't wait, my schedule fills up fast!" I'm giving you this special bonus because I know that after you see my work, hear the positive comments from staff and parents, and hear the enthusiastic response from the children, you'll want me back again and again, year after year! Remember that this program is completely guaranteed to thrill your kids, make them laugh, make them think, and teach them skills & strategies that can change their lives – or the program is FREE and I'll give your school $100.00. You have absolutely No Risk! You get the complete fee refunded plus I'll write you my personal check for one hundred dollars if you're not completely satisfied! Out of the thousands of programs I've done, NO ONE has ever, I repeat ever, requested their money back. But, I give you this unheard of guarantee – so you can feel completely confident with your decision to present my “Magic Bag of Tricks” workshop! Imagine the excited look on the kid's faces when they discover the secrets of a real magician! I understand that your budget may be a little tight and that my fee might represent a considerable investment. If you can't afford it, I still want to come and present this program. Here is a proven way to generate the necessary funds: simply treat this event as an in-house field trip and ask each parent to pay their child's low participation fee. I know this can be a hassle but I'll make it easy for you. I'll provide you with a camera-ready flyer for you to copy and give to each child to bring home. At the end of my program you simply write me a check and if there is any money left over you keep it for your school. This is an easy and cost-effective way to present this program. In fact, you may even make a bit of money for your center in the process! Please keep in mind that this is a real educational experience, one that will have a positive impact on all of the children who attend. Yes, it's fun, but it's so much more... In fact, my “Magic Bag of Tricks” workshop can be a great tie-in with other events, like reading programs, magic themes, parent & child events and more. Because I am a full-time professional, I'm available when you want to have your “Magic Bag of Tricks” workshop … morning, afternoon or evening. Parents, staff and students will thank you. This special offer for my one-of-a-kind "Magic Bag of Tricks" workshop along with a Free Magic Show is only available for a limited time! I'll be presenting my one-of-a-kind workshop dozens of times this semester. Obviously, there are only so many dates available and my schedule will fill up quickly. I'm mailing elementary schools in Oakland, Macomb, Monroe, Wayne, St. Clair, Livingston, Genesee, Lapeer, and Washtenaw Counties. To make sure you get the date and time you want, I urge you to pick up the phone and call me now at (248) 375-5670. Please call me right away so you don't miss out on this amazing opportunity. I'll be happy to help you if you have any questions or need additional information. I'm looking forward to your call. P.S. – If you want to see more client comments I'll be happy to send you letters or arrange for you to talk with others. My delighted clients actually “sell” a lot of programs for me. Soon you will too - that's how great this program really is! P.P.S. – The sooner you call the better the opportunity you have to pick the day and time that's best for your event. And don't forget to take advantage of my FREE family magic show OFFER! But hurry - This a limited offer!